Android updates, including both security patches and major versions, are something that many people value. Granted, some are afraid of new updates as they can change things around and sometimes new bugs or performance issues might surface. For the most part, though, new Android updates are important and vital to the platform. 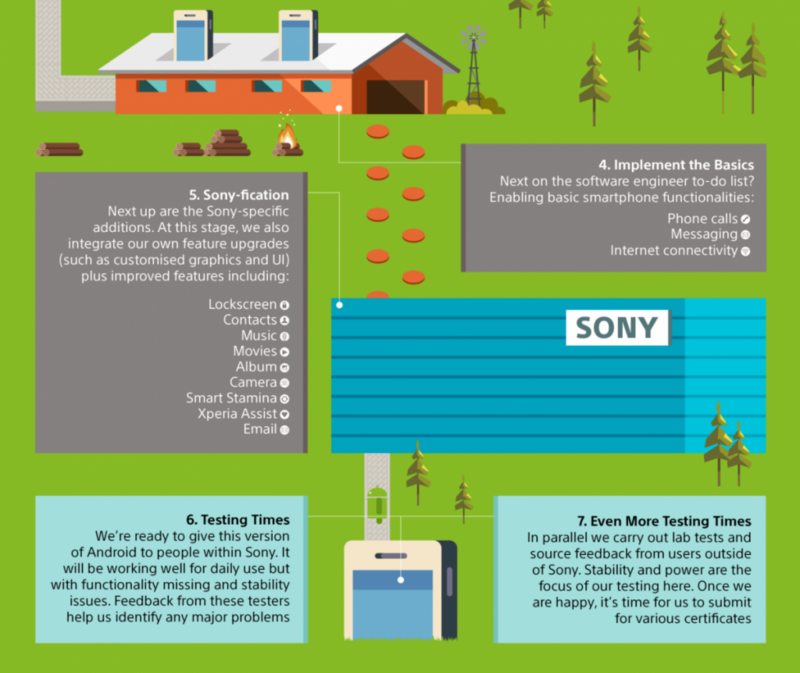 The entire process that an Android update goes through is incredibly complex, though, so Sony just released an infographic to help illustrate the entire process. 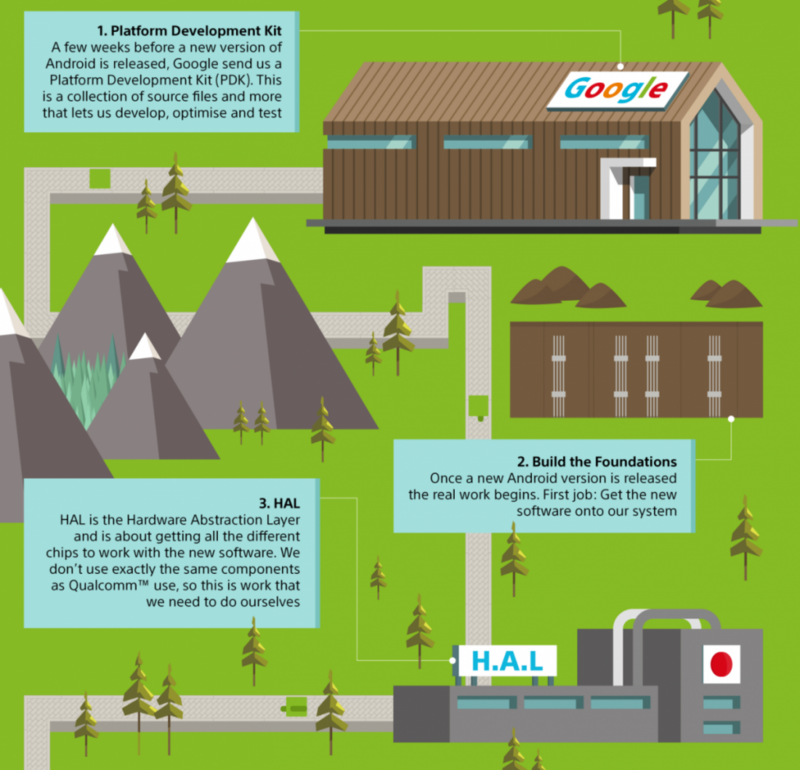 The first phase is the “bring up” process and it starts with Google sending Android OEMs what is called a Platform Development Kit (PDK for short). 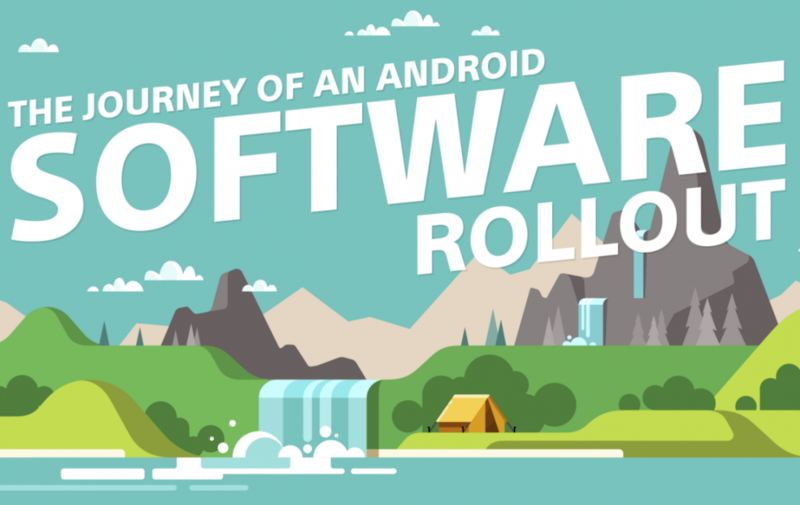 This goes out a few weeks before a new version of Android is released, and it includes a collection of source files and more to help the OEM develop, optimize and test the new update. Then when Google releases the update, OEMs can start to build the foundation so they can focus on the Hardware Abstraction Layer (HAL). The HAL process is focused entirely on getting the different hardware components to work with the new software. If a company doesn’t doesn’t use the same components that Qualcomm uses (which is sometimes the case), then it is up to the OEM to get this straightened out. Once that is done, they can start working on the basic features that a smartphone or tablet should be able to do. This includes but is not limited to things like making and receiving phone calls, sending and receiving messages, and internet connectivity. With that out of the way, the OEM can then work on the software feature that make their devices stand out from the competition. In Sony’s case, this includes customizing the lock screen and other applications including contacts, music, movies, album, camera, email and other features such as Smart Stamina and Xperia Assist. With that done, they can do some internal tests within the company followed by more testing outside of the lab. You would think that is the end but that is just phase one. 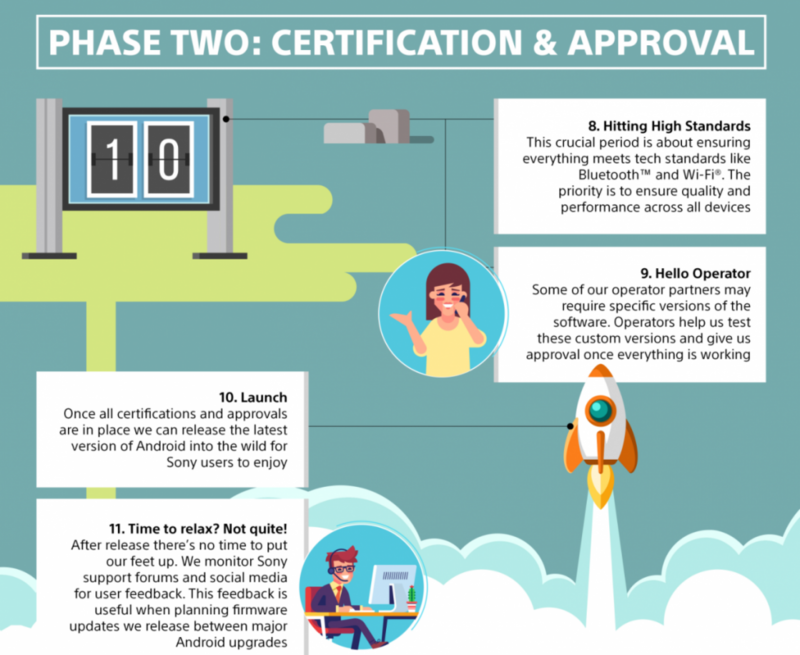 With that complete, phase two begins and this is where certification and approval of the update comes into play. These devices need to meet certain standards when it comes to Bluetooth, WiFi and cellular connectivity. Some of these cellular partners also want certain things in the software as well so after those are implemented the update is put through some tests from the carrier. Finally, with all of that out of the way they can start rolling the update out to the users. This is normally done gradually while the team sits back and checks logs for any type of critical error during the update process. If some are detected, then they need to be fixed, but if not then they’ll continue the roll out process until it’s complete.